Today, Saturday 15th September 2012, Legoland in Malaysia's southern state of Johor is officially opened to the general public. It's the 1st Legoland in Asia and the 6th one in the world. Two weeks ago, on 1st September, I had the opportunity to join a Media Day Trip from Kuala Lumpur to Legoland Malaysia as part of Legoland's preview and promotional programme involving media people and their family members from both Malaysia and Singapore. On that day, some of us drove down to Johor but my friend and I took the bus that was provided by Legoland for the rest of us. In total there were some 8 buses that were used to transport the group from Kuala Lumpur to Legoland Malaysia. We departed at around 7 a.m. in the morning from the city centre and arrived at Legoland Malaysia just after noon, after getting lost on the road in Nusajaya area in Johor. That's about 5 hours on the road. Not exactly a good way to start a day trip. Tips: If you're driving from Kuala Lumpur or somewhere far away from Johor, try to plan to stay overnight somewhere in Johor. Such a long & tiring return journey is going to take away the fun part of the trip. Hotel recommendations are given towards the end of this post. Upon arrival, we got off the bus, got our free tickets and went right inside the park. We were by then joined by an assistant editor of Air Asia in-flight magazine. Tips: The trees are still young and there are not that many shaded areas in the park. Malaysia is hot and can be quite humid at times, so if you're going to spend the whole day outside having fun in the sun in Legoland, don't forget a cap or a hat and sun block lotion too! Also don't forget to continue drinking some water! Let's take a mini tour of the park, shall we? The Beginning is just that. The area near the main entrance to the park, or as Legoland Malaysia puts it, it's where "your adventure starts". There are plenty of counters for the tickets, which should ensure that queues for the tickets are smooth and fast moving. Once you walk past the turnstile into the park area, you'd have a mini market to your right, along with places for locker rental, stroller/ wheelchair rental, cash machines (ATMs) while to your left would be restrooms. Further down, you'd find a cafe (The Cafe) and the Big Shop where you can shop for souvenirs and Lego bricks to your heart's content. I did not plan on buying anything so just browsed around the shop without checking the price tags. Did overhear some people saying the Legos there are expensive. Not sure however if they are actually more expensive or cheaper than in the city centre. Lego Technic probably is going to be your first pit stop if you're looking for rides. The area has options for 3 rides, namely Technic Twister, Aquazone Wave Racers and Project X. When we first got here none of the rides were opened, apart from Technic Twister. Technic Twister looked a bit tame as it's basically just people sitting in big cups twisting around. We were looking for more of an adrenaline rush kind of rides. Project X looked like it fits the bill but it was still closed when we got there. Lego Kingdom is another area of Legoland Malaysia where there are plenty of options for rides available. Among these include Dragon's Apprentice, the Dragon, Royal Joust (kids only) and Merlin's Challenge. Two of the best are probably Dragon's Apprentice and the Dragon, with the former is supposed to be a tamer version of the latter, thus the "Apprentice" in the name. We tried the Dragon's Apprentice and I suppose the level of excitement from the ride is medium. Only one of us however dared to try the Dragon after looking at the blank lost confused pale quiet look of those who had just finished the ride despite them looking happy and chirpy just before their ride started. No doubt it is possibly one of the scariest rides in Legoland Malaysia. For those who are not really into rides, fret not. Miniland is possibly the best area for you in Legoland Malaysia. This is where you can find miniatures of some urban centres (e.g. Putrajaya, Brickfields, Kuala Lumpur City Centre (KLCC)) as well as world famous structures like Petronas Twin Towers, Taj Mahal, the Forbidden City of China together with the Great Wall of China, etc. While these are miniatures of real structures, they are not exactly miniatures in size by normal Lego standard. The level of work and detail that had been put into building all these miniatures is just mind boggling. Definitely not a child's play. Some of the miniatures are shown here. This area's theme is Egyptian. Apart from some photo opportunities, e.g. with the Pharaoh, etc., this Land of Adventure appeared to us to cater more for kids and young adults so we didn't stay long in the area. The waterpark area is scheduled to be ready in 2013. For adults however (and for them kids too! ), there's Lego Studio where you can watch and experience one or two 4D short movies. Just make sure you cover your camera and handbag, if any, with something, to prevent them from getting wet. Don't say you have not been warned or you shall be accused of not being imaginative enough. Seriously, use the map. Especially if you're paying for the tickets and want to make sure they are worth it. Anyways, on the way out later on in the afternoon, we walked pass in front of Project X (in Lego Technic) again and saw that it's opened already. However when we saw what the ride entails - a small car with 4 people in elevated seats swerving around sharp corners high up in the air - none of us wanted to try it, each claiming not wanting to throw up what we had just eaten for lunch. As you can see, all areas apart from Miniland, are served either by a cafe or a restaurant so you're never far away from an eatery or two. According to Legoland, all food are certified halal. Alcohol is prohibited from being brought into the park. We had our late lunch (pasta & pizza) at Pizza Mania and found the meals to be quite good. Price-wise, they are just slightly expensive, more comparable to meals in hotels rather than at stand alone restaurants. Legoland provides various facilities for the convenience of its visitors. These facilities include locker rental, stroller/ wheelchair rental, 2 musollas (prayer rooms for Muslims), baby care centre as well as a package pick-up service for items purchased at one of its shops. Restrooms are available in each area. We didn't use much of the facilities apart from the musolla and restrooms. The musolla is pretty basic but adequate. The restroom was clean. Hopefully all these facilities are going to be continuously well maintained at all times. Looking for more alternatives? Search for other hotels here. The above are just a few photos of some of the main attractions in Legoland Malaysia. There are obviously more attractions available at the park but it is impossible to upload all the photos here. For more photos, kindly visit Ramble and Wander's Facebook Friends' Page. For maps, direction and ticket price, kindly refer to Legoland Malaysia's official website for latest information. 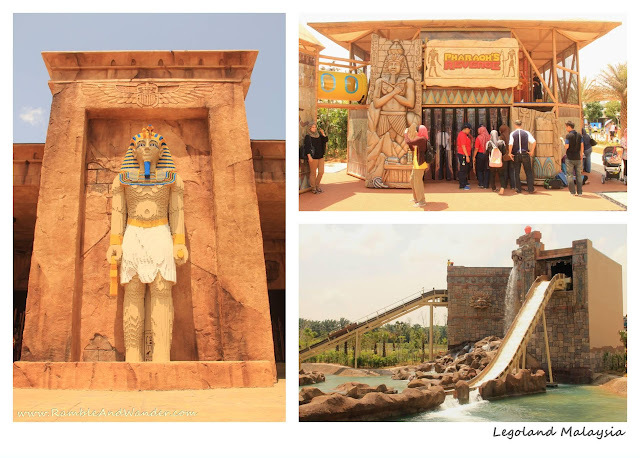 Update 10 Oct 2012: We have now written another review with some further tips on Legoland Malaysia here. My appreciation and thanks go to Jard of IgnorantBrat & Wilson of PlacesandFoods for the opportunity and arrangement to be part of the media day trip from Kuala Lumpur on 1st Sept 2012. Thank you. Nampaknya mcam tak byk utk adult. Mungkin kena tunggu smpai all section siap kot nanti baru nk ke sana..
Sebenarnya ada byknya juga rides utk adults tapi rasanya yg disebut di atas adalah yg utama. Tapi saya setuju, mungkin lebih baik tunggu semua bahagian (kecuali hotel) siap pada tahun depan. First of all, from all the reviews that i've been reading from the past few weeks...i guess this post is the most complete and comprehensive. not only with the write-up but also pictures! awesome! keep it up bro! u described all that we wanted to know before going to visit legoland. i guess i should give a buffer until next year. Thanks, John, for the compliment. I was not too sure about putting too many photos in just one post. This is easily one of the posts that has the most photos on this blog. Hopefully it doesn't take that long to download the page. Well, perhaps next year..not this year definitely. I've had enough of theme parks already this year...ha..ha..! My kids will surely love this place! I'm a fan of miniature buildings.. so, Miniland will be my fav! Hahaha,Farikica! It seems like you travel everywhere just for theme parks! I'm sure your kids will love the place, and you'll love Miniland. I myself spent more time in Miniland, I think, and would have been more than happy to spend more time there if not for the hot sun. Yup, yup, true about the weather. I'm not sure how Legoland Malaysia compares to the one in Windsor. Although I have been to Windsor before, I didn't go to Legoland there. Opted to visit the castle and Eton College instead. For now, I would say around 6 or 7. Once more attractions are opened and it's fully developed, it should be 8, at least. I bawak Aqilah? Oohh! So you la yg tak nak kena panas, eh? Bukan you tak nak Aqilah kena panas? Bagus punya bakal mak mertua, haha! Another place that I wanna go next year. Great review especially sharing the hotel to stay. Ease my job, my friend. Thanks, Diana, my pleasure :-) There're a few hotels opening up near to the park. Apart from Legoland Hotel in 2014, I think Traders are opening a hotel next year somewhere in Nusajaya as well. Yes, I think it would be a nice destination for a family day outing, plenty of attractions that should cater to everyone in the family. your most detailed entry so far, leh buat pedoman for those going. ehheheh... keep it up yah. tepaksa pegi dengan Tansri nanti. "terpaksa"? Macam tak rela je bunyinya, Janggel? tak bleh blah perkataan tansri digunakan.. Thanks, Anash. Purchase? Free? Syoklah boleh guna akaun bank org lain utk beli tiket, hehe! Great blog about Legoland. Will go there next year hopefully when the water theme park open. 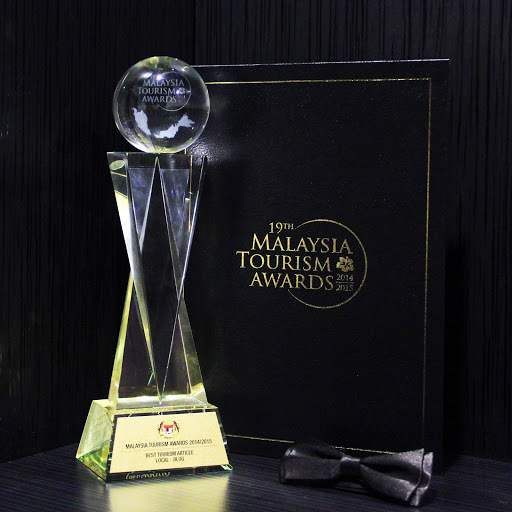 Already book accommodation at Tune Hotel Danga Bay. Is the Legoland that big? Let say, is it bigger than USS??? Hi, Owen! Thanks for the compliment. About the size, I'm not too sure. By land size, Legoland Malaysia is much bigger than USS. But I understand that not all land areas acquired by Legoland are utilised/ developed yet. Some are still under construction, e.g. the hotel. So for now perhaps they are more or less of the same size? I personally like Miniland section the best in Legoland by the way. Hi, Nicole! I'm glad that you find the review useful. So have you decided to give Legoland a go in the near future or are you going to wait first? If you are to pay RM105 for all those mentioned above, would you still go? Hi, Anonymous! Sorry but I can't be of much help there. Didn't check the Lego sets in the Big Shop. Just browsed around for a bit and then left. Perhaps other readers who have been there can help with this question? I think the general recommendations apply. Go early, since if it rains, it usually rains in the afternoon. Bring an umbrella, just in case. There are a few indoor attractions at Legoland, at least 2 that I can think of in Imagination section. But I guess they can get crowded if it rains as everyone would probably be heading to the same place. Perhaps if you're flexible with day of visit, you can check the weather forecast a few days ahead? since harga makan/minum dorg agak mahal, boleh tak bawak makan/minum sendiri? and dorg ada tak wat check up kat beg2 kita before masuk? if ada check, kene pandai2 la sorok dlm beg...if dorg tak check, bagus lah...hahaha..
Ala kadar je dia check, lebih kurang Sunway Lagoon juga. Yup, bawak ringan2 je, nanti kena bayar duit locker pula kalau dah besar, duit lagi tu... hahaha! Nanti pelan naik shuttle bus dari JB atau dari hotel? duit duit duit...nak pergi ni pun still tga ber-budget2 lagi ni...haha..
sblm ni nak guna shuttle bus je..sb ada satu hotel ni,ada package tiket+shuttle bus...tapi saya ni jenis tak suka ikut timing2 cmni...so,plan nak cari kete sewa..tah la..ada idea?